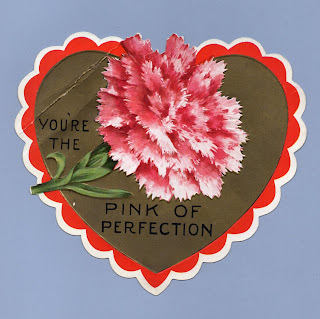 Vintage Valentine Museum: Flowers and Floral Themes - Love in the Garden Bed! 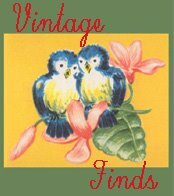 Flowers and Floral Themes - Love in the Garden Bed! My Thoughts are all of You my Valentine. 3 3/8" x 3 1/2"
You're the PINK OF PERFECTION My Valentine. 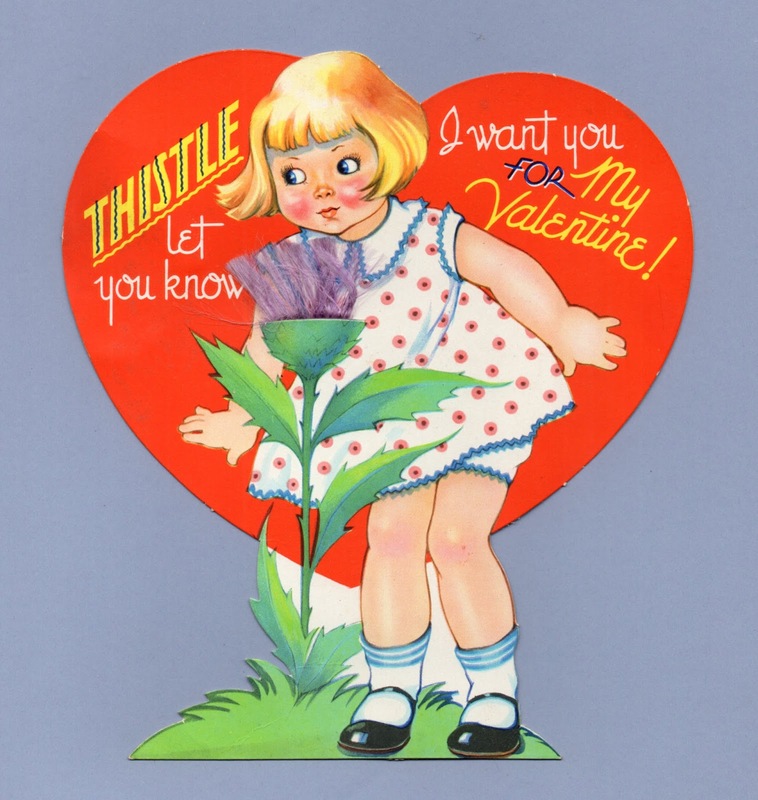 Thistle let you know I want you for my Valentine! 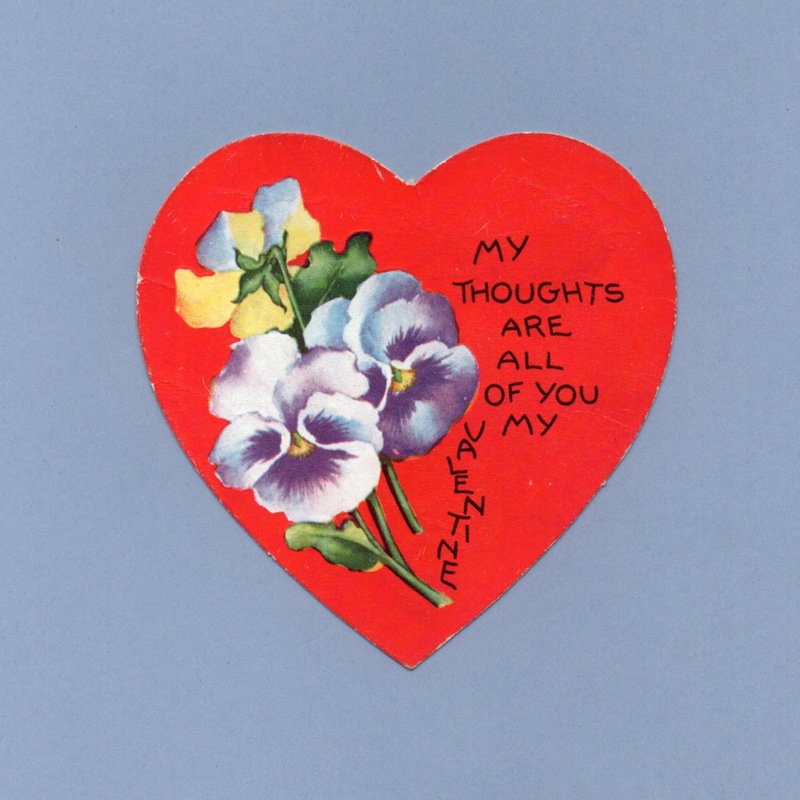 (Message hidden under attached paper flower: Forget-Me-Not I'm your Valentine!) Valentine Greetings Within this Blue Forget-Me-Not are thoughts of you that "Hit The Spot" So open up the flower to view a "True Blue" Valentine for you! 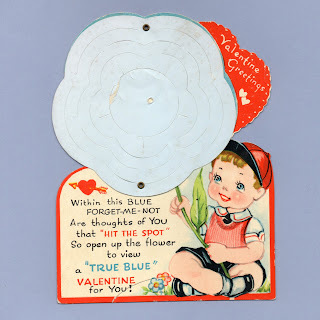 Valentine Greetings ~ Lily maid, please float my way And be my Valentine today. 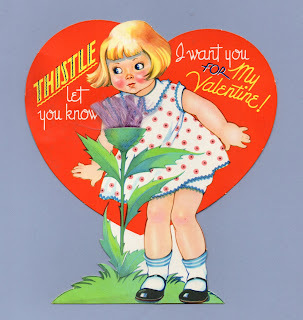 My Valentine ~ I'd like to tame you, My Wild Rose, So you would shake Your other Beaux. 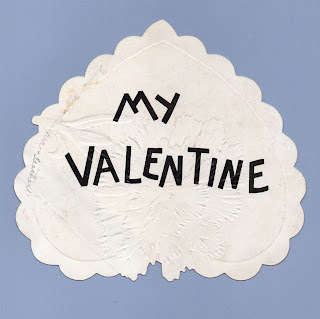 My Valentine ~ You're the belle of them all It makes me blue, 'Cause others beside me think so too.